Personally run country hotel built in the late 1800s. in the heart of Royal Deeside. 35 miles from Aberdeen. Member of Scotland's Personal Hotels. 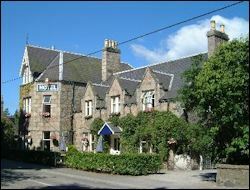 Popular restaurant, lounge, whisky bar & log fires. AA Red Rosette award for excellent cuisine. 19 ensuite bedrooms: single, double, twin, family rooms. hairdryer, iron/ironing board, tartan fabrics. Honeymoon suite with 4-poster, lounge and whirlpool bath. 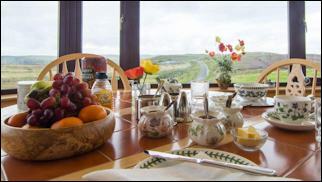 B&B prices from £42.50 per person. Rooms from £66.50 per person. 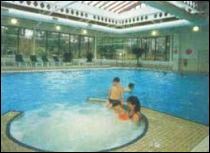 B&B from £35 per person. 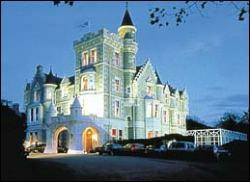 All graded 4 or 5 Stars by the Scottish Tourist Board (Visit Scotland). (home of the Clan Hay). 3 miles from Turriff. 37 miles north-west of Aberdeen. Fishing can be arranged on the estate loch. 1 double with four-poster bed, 1 twin, 1 single. Lounge and a unique kitchen/diner with barrel-vaulted ceiling. TV, VCR, washing machine, tumble dryer, cooker, microwave, etc. includes bed linen, towels, electricity. 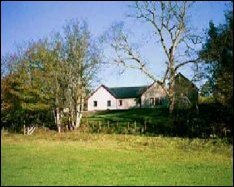 Short breaks available (minimum 2 nights). 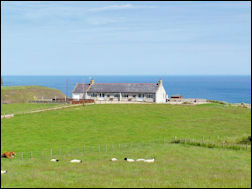 Wide choice of self catering properties ranging from 1 to 8 bedrooms. Sixt has cars and vans to hire from locations in Scotland including Aberdeen Airport and Dyce. Nicola Fraser is a professional Tour Guide and freelance Travel Consultant with a special interest in natural history and Highland culture. With a 4x4 vehicle, she offers private tours of Aberdeenshire and Royal Deeside including day trips to visit castles and distilleries. Available for private shore excursions from cruises docking at Aberdeen. Bespoke tours can be arranged. Travel planning services also available. 20 years experience. 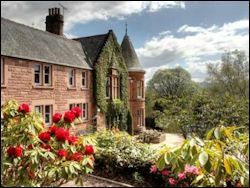 Accommodation reservations for castles, inns & country houses. Itinerary planning and advice for self-drive tours (with car hire if required). Private tour guides and clan lands research. In addition to the Castle & Whisky Trails, Aberdeenshire is one of the richest areas for standing stones and ancient monuments - so much so that there is now a 'Stone Circle Trail'. Check out the official guide by Aberdeenshire council. 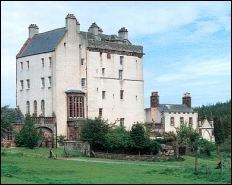 visit the Scottish Castles web site for more ideas. Pathfinder walking guide with walks for all abilities. Each walk features an easy-to-follow route description, fascinating background & historical detail, and recommendations for points of interest & highlights. Colour maps by the official Ordnance Survey.